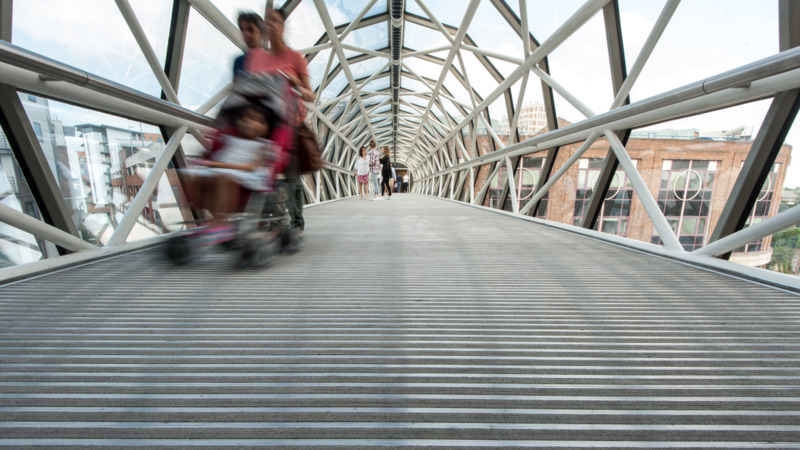 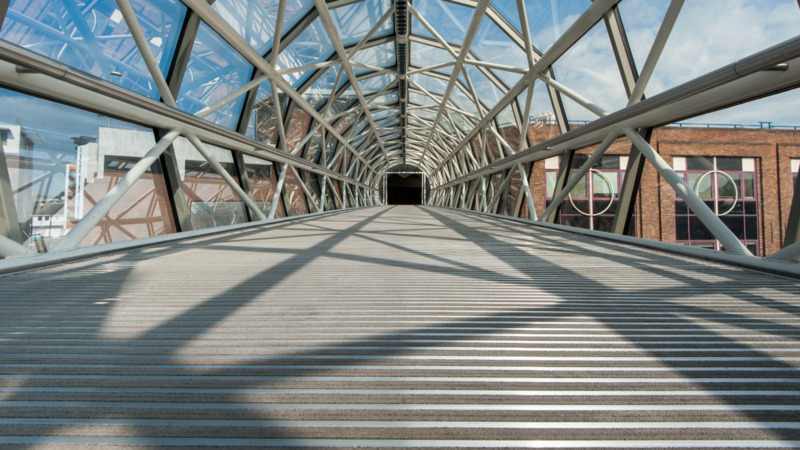 Due to a very challenging environment, the Bentall Centre, in Kingston upon Thames, required a rigid and heavy duty floor covering for its glass tunnelled footbridge – linking the car parks to the shopping centre. 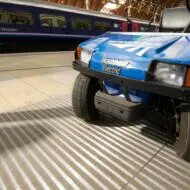 The floor covering had to remove moisture and soil from the soles of shoes and wheeled traffic, as well as cope with the major movement caused by the interior high temperature fluctuations. 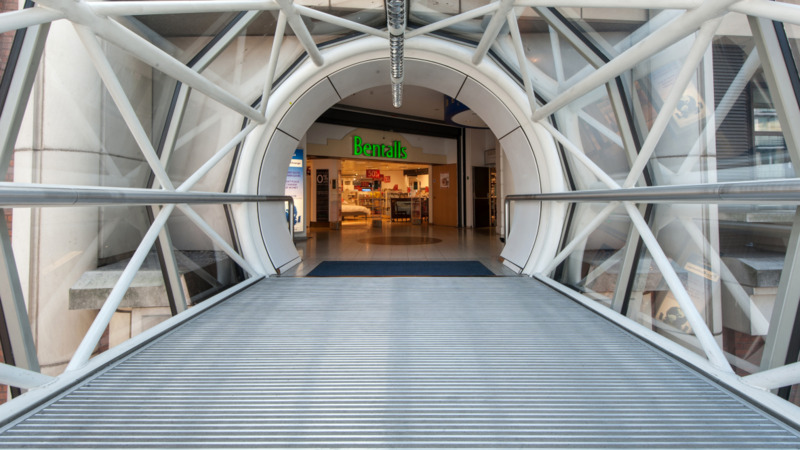 After extensive research undertaken by Forbo Flooring Systems, Master Matting Installations Co and the Bentall Centre, Forbo’s Nuway Tuftiguard HD entrance flooring system proved to be the most viable and cost effective solution.